Wishes to discover, preserve and disseminate knowledge about the history of Gustine and the West Side. It collects artifacts, memorabilia, documents, books, maps, periodicals, articles, photographs and items pertaining to Gustine and its surrounding area. 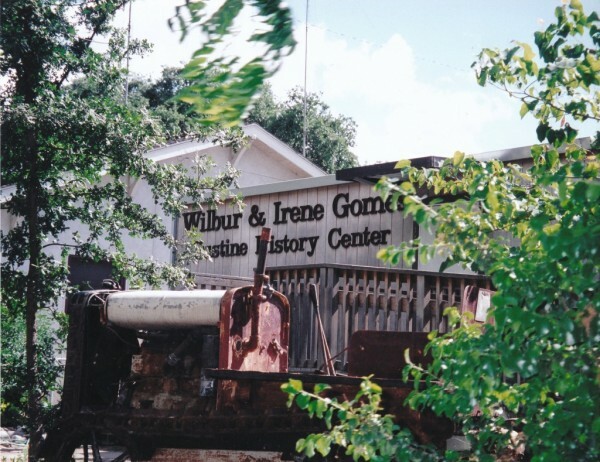 These artifacts are housed in the Wilbur and Irene Gomes Gustine History Center and in creative exhibits in the Gustine Museum. The Gustine Museum is housed in the former Merced County Justice Court/Jail building. Built in 1911, this historic building served the City of Gustine until abandoned in 1980, when the Police Department moved to new quarters. It was leased to the Gustine Historical Society in 1985. After extensive restoration, it reopened in 1990 as the Gustine Museum. In 1996 the building was designated a California Point of Historic Interest. Which was dedicated July 4, 1997, was made possible as a gift from long- time activists Wilbur and Irene Gomes. The center features an archival library, Gustine newspapers from 1911, obituaries, biographies, histories, maps, Gustine school registers, Indian lore and thousands of photographs.